It has been no secret that I am a HUGE fan of Heathen's Hearth. 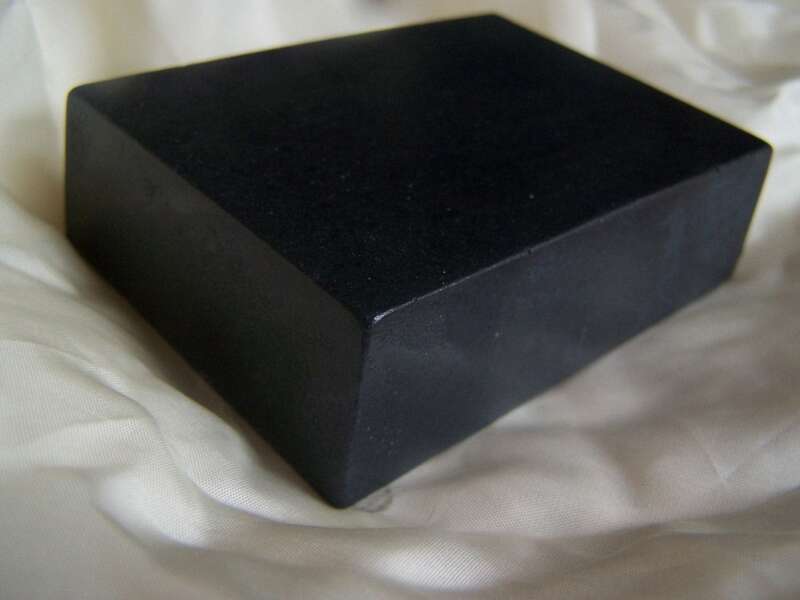 You can walk into any room w/ a sink in my house and find a bar of Heathens Hearth soap. I honestly can't even pick a favorite scent. Every time I go back - i grab a new one. At this point I have more soaps than sinks! haha. But, to choose my favorite product? Hands down the Deep Cleansing facial set for Normal/Oily skin. Like most people my age (23) my skin has changed SO MUCH in the last few years... not to mention the hormone changes from having two babies back to back. Trying to find a face wash that kept me clear was near impossible... Lets face it... its hard being a girl *ahem...* a woman ;) Your clear for a week, then your period comes... BAM! Breakout... then by the time you clear back up... your ovulating... hormones all out of whack... BAM! breakout... or maybe your the opposite? And get really dry skin? Either way, she's got your back... I have literally tried every brand of face wash out there on the market and I could not find anything that regularly worked for me until I tried this. The Tea Tree Peppermint Charcoal face wash. And now I would be a pizza faced mess without it. I honestly & truly do not feel clean until the end of my shower when I finish washing my face. Charcoal? Scary right? No - its not the stuff you scrape off your grill, lol "Activated charcoal has long been used to absorb toxins from your body, inside and out. It is used to effectively cleanse and whiten your skin, unclog pores, remove impurities and dead skin cells from the top layer of the skin, resulting supple, delicate and smooth skin." Combine that with the Tea Tree Oils & The Peppermint & you get pure perfection. While washing, I get that amazing deep clean tingle... and when finished I feel cool & smell like mint candy :) It actually even helps my makeup to stay on. I dont know why... maybe she does? My guess would be that Im so clean and not oily that the makeup can cling to my skin rather than oils and dead skin? (maybe she will verify this for me) But it was my savior for my wedding day. My makeup went on beautifully and stayed all night until I washed it off. I was SO grateful to find this product before the wedding. So how could she make such an awesome product even better? With the full line of products. After falling in love with the face wash, i HAD to go back and get the mask... and as I expected its just as wonderful as the wash. "Bentonite Clay, Colloidal Oatmeal, Activated Charcoal with Chamomile and Tea Tree Essential Oil have been proportioned to perfection in this improved formulation." Cool right? But it gets even better! You can mix the powder with whatever you want to (milk, cream, water, honey, yogurt, etc) to create a paste. Totally fun. The first time I used it I just used water... but since then I have used milk, yogurt & honey. My favorite of those has been the yogurt. It was cool & tingly, yet creamy, and rinsed really clean. I skin Looked cleaner, felt cleaner and it even minimized my pores & black heads... Best of all? Hubby loves it too! He said... "my skin feels so soft and smooth!" he was right... it really did! The newest part to my skin care has been the Toner. Its been a really great & simple addition to help take care of my skin... I just dab it onto my face and neck using a cotton pad or ball when I get out after I wash my face in the shower. Keep in mind... " if used in the morning, this toner needs to be followed by a moisturizer with sunscreen"
So that it folks - the whole 3 piece line up... and it couldn't be any better. But when if comes to something like this, you can't just take my word for it, you need to try it. I have turned SO MANY people onto this facial regimen who love it as well. And this week you get a chance to win it! Not just one of you... but THREE of you! ONE of you will win the Dry/Sensitive Skin Care Set... ONE of you will win the NORMAL Skin Care Set... and ONE more of you will win the Oily/Acne prone Skin Care Set. Tweet This: "Free Giveaway! 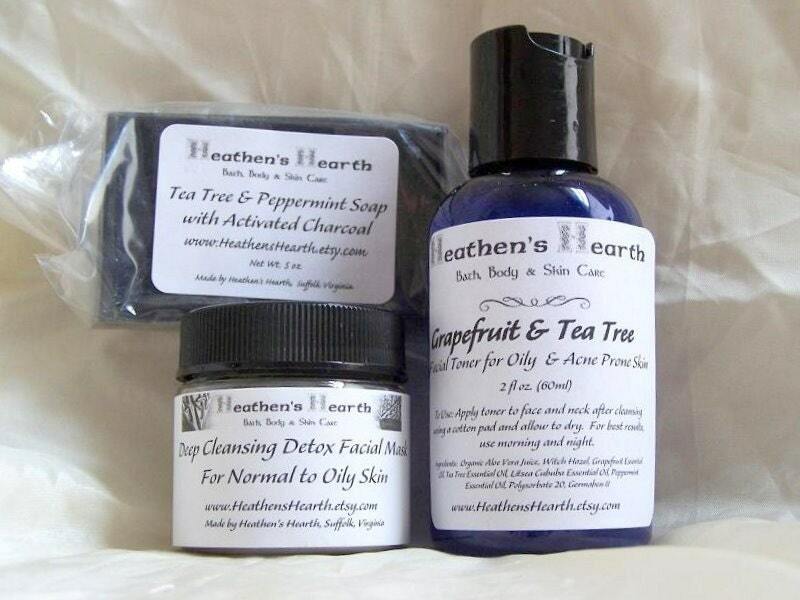 3 piece facial skin care set from @HeathensHearth at the @RockeByeBaby blog! 3 WINNERS & 15% off code! http://bit.ly/6l6jq0"
#9) GET TWO ENTRIES - by making a purchase from Heathens Hearth... and when you do, mention the RockerByeBaby Giveaway and get 15% off!! Tags "all natural facial products", "etsy", "free giveaway", "giveaway", "handmade", "heathens hearth", "heathenshearth", "RockerByeBaby", "skin care"